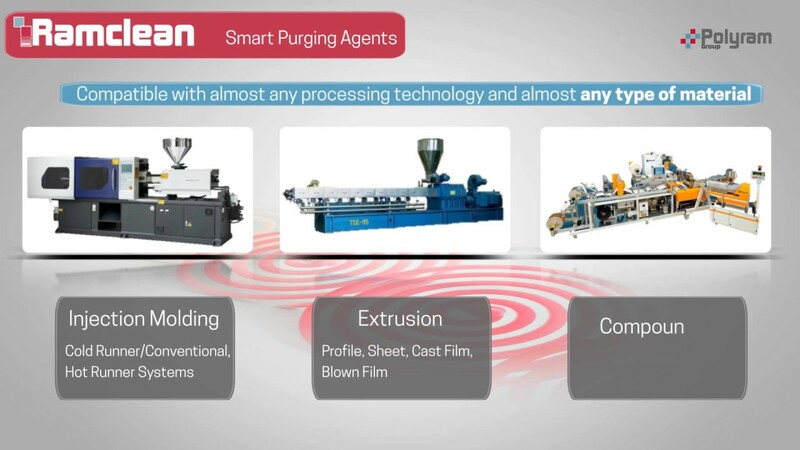 Ramclean ® is a new generation of products – Smart purging agents. Ramclean ® is Non-Corrosive, Non-Abrasive and Non-Toxic is designed to effectively purge almost any thermoplastic material and compatible with almost any processing technology. Based on a proprietary formulation using ingredients that are REACH and FDA compliant. Safe to use for operators and machinery.